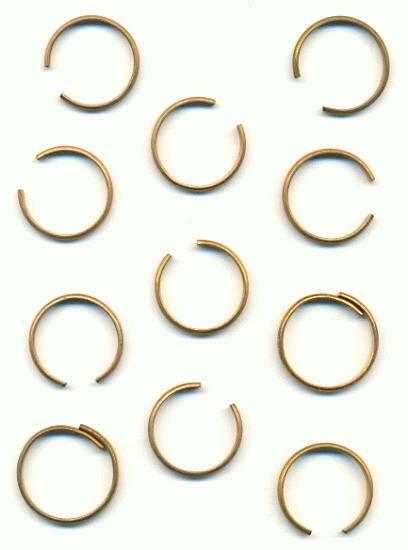 Price listed is for six brass rings. These are mixed adjustable brass rings. Some have an open and some overlap. The wire measures about 2mm wide. Most of these need to be polished. I believe the open ones are suppose to be for sizes rings where you solder a setting at the opening. However, they could also be used with the bottoms open and a setting solder at the center or the wire.